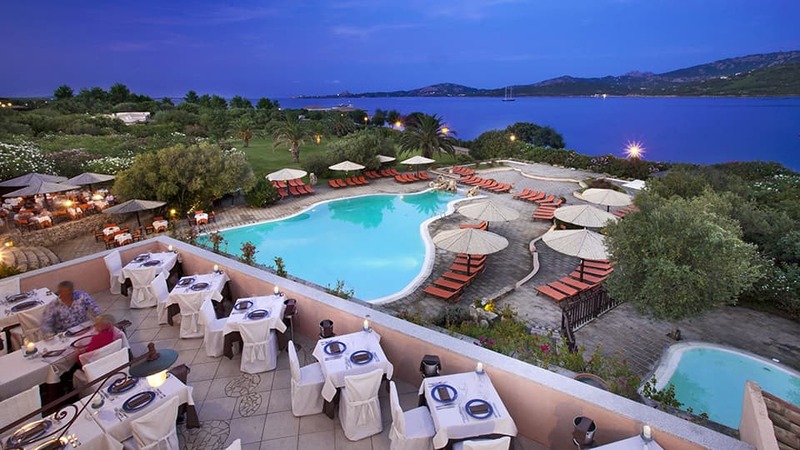 The Resort Cala di Falco is a 4 star Superior resort in Cannigione, near the Costa Smeralda in the North of Sardinia. A strategic location, excellent starting point for visiting the most famous destinations of the North of Sardinia and the Costa Smeralda, or for reaching the La Maddalena Archipelago with its uninhabited islands surrounded by brilliant crystal-clear water. The Cannigione beach is easy to get to on foot from the swimming pool of the hotel as it is literally just over the road, while the Barca Bruciata or Mannena beach can be reached using the shuttle bus service directly from the resort. Part of the Delphina Hotels & Resorts group, the Resort Cala di Falco also offers the option of choosing between 3 different styles of beachfront holiday in the North of Sardinia: the Hotel formula, the Residence, or the prestigious Villas dedicated to those who love luxury and privacy. These solutions have been created for holidays in Sardinia aimed at families, groups of friends and couples. A relaxing holiday is waiting for you at the Resort Cala di Falco, surrounded by well-tended Mediterranean gardens, elegant little squares and hand-sculpted stonework, all just a stone’s throw from the lively atmosphere of the charming little town of Cannigione where you can enjoy a walk along the seafront between delightful crafts shops that are open all year round. 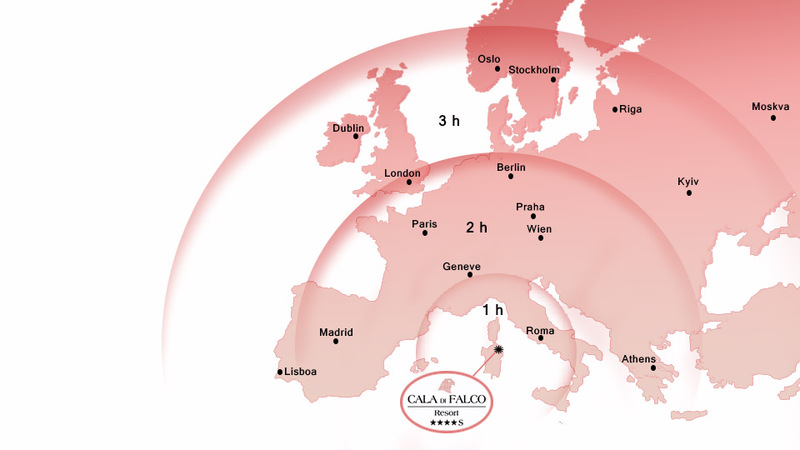 The Resort Cala di Falco can easily be reached in about 30 minutes from the ferry terminal at Olbia and the international Olbia-Costa Smeralda airport. 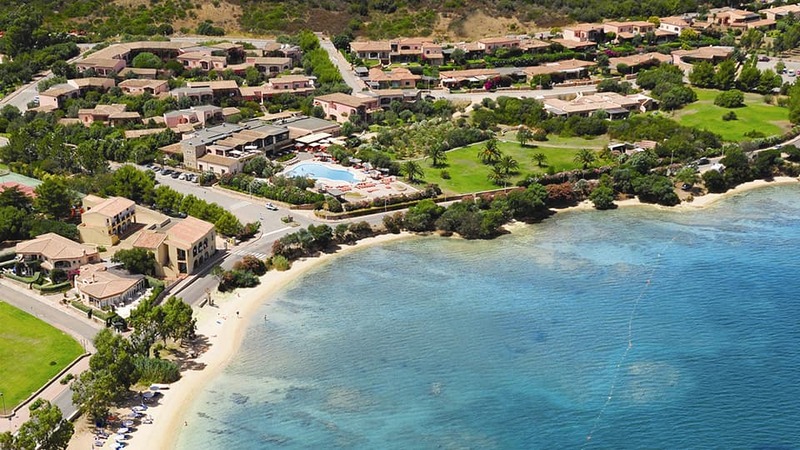 Resort Cala di Falco – Three solutions for your summer holiday in the North of Sardinia. 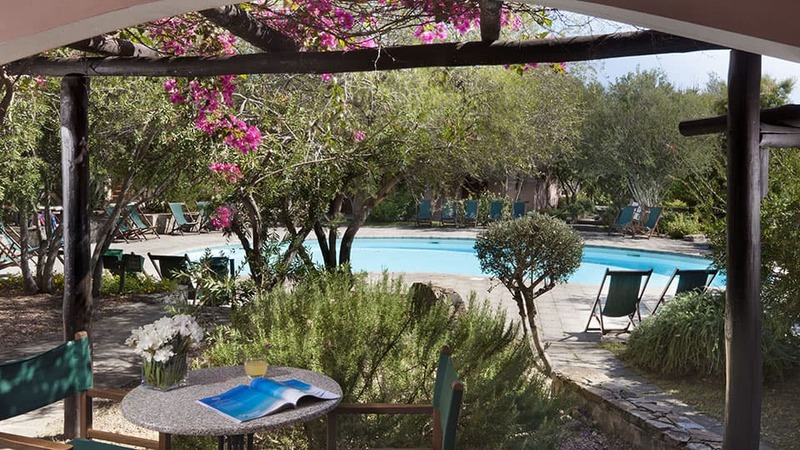 The Hotel is close to the main services and facilities of the Resort Cala di Falco and is set around a large swimming pool provided with umbrellas, sun loungers and with lifeguard service. Two restaurants offer delicious Mediterranean and traditional Sardinian dishes reinterpreted by award-winning chefs, while for an informal and alternative evening, the pizzeria with wood-fired oven is available. The Residence, set around its own pool, is the ideal solution for those wanting to spend a holiday in comfort but with a little extra privacy. The town of Cannigione is a well-placed destination from which to reach Porto Cervo and the Costa Smeralda in just a few minutes or to go in search of the most beautiful beaches in the North of Sardinia. At the Resort Cala di Falco there is the option of spending a holiday in one of the 13 luxury Villas that are nearby but still part of the resort, and some of which have a sea view. This is a really comfortable and exclusive solution that guarantees you the maximum in freedom plus the convenience of using the hotel’s services plus the Mini Club (some services may be charged for). The 4 star Superior Cala di Falco Hotel is in Cannigione at the gateway to the Costa Smeralda and within the resort just a few metres from the Cannigione beach. 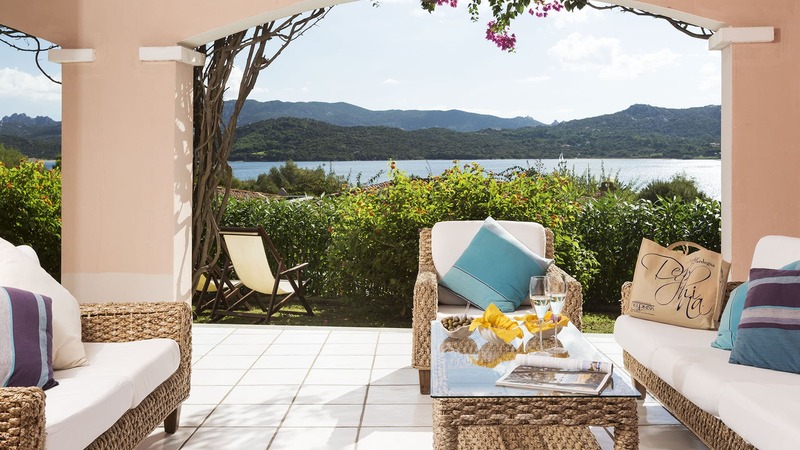 The Holiday villas at the Resort Cala di Falco at Cannigione are elegant and luxurious villas set in the greenery of the Resort’s Mediterranean gardens about 30 kms from the port and international airport of Olbia. point for discovering the North of Sardinia and the La Maddalena Archipelago. In addition, there is the convenience of combining the privacy and comfort of the Villas with the option of using the facilities of the nearby Hotel. The food and drink at the Resort Cala di Falco will satisfy even the most demanding palates: elegant waiter service at table or generous buffets for dinner. For a delicious and more informal dinner, the pizzeria-grill with wood-fired oven. 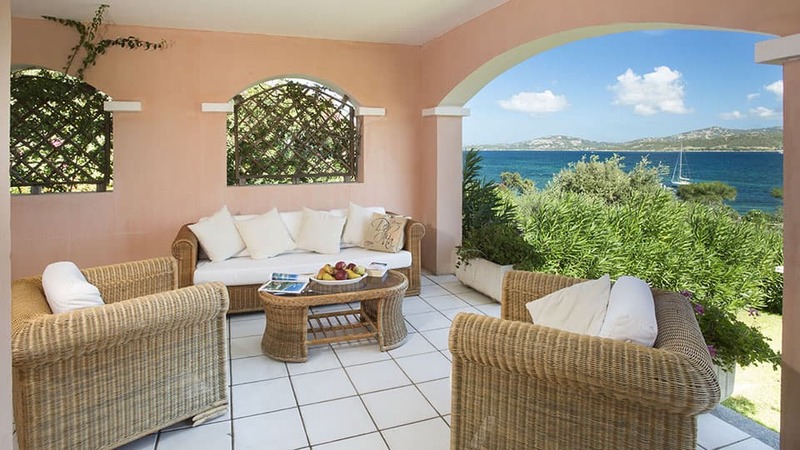 A hotel for families in Cannigione in the Costa Smeralda, North Sardinia. A stone's throw from the Resort Cala di Falco you can discover a different beach every day and dive into the crystalline sea of Northern Sardinia. Where to go on holiday in October in Italy? Sardinia is all there waiting to be discovered during a out-of-season trip: mild weather and warm sea, authentic villages and tastings, excursions and sports. 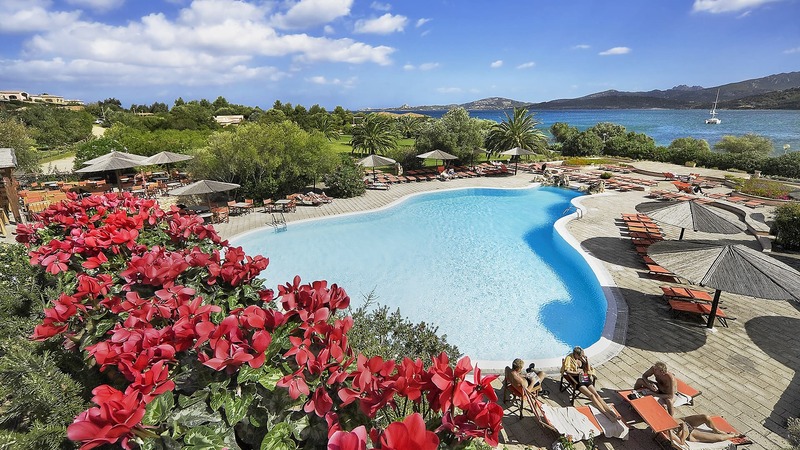 Located in Cannigione in the North of Sardinia, the Resort Cala di Falco is easily accessible from major ports and airports in the region.